West Ham forward Perez is rumoured to be keen on a move to Spanish side Real Betis while Chelsea outcast Batshuayi is looking for new suitors after turning down the Hammers. 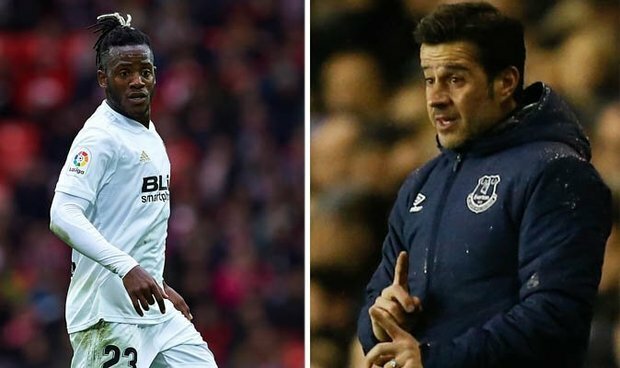 Although confirmation did not come before the 11pm cut-off, the expectation was the deal would be ratified and that Palace will pay about £1million to take Batshuayi, who spent the first half of the season at Valencia, from Chelsea. Palace are long-time admirers of Batshuayi - they had a £31.6m bid for the striker accepted by Marseille in July 2016, only for personal terms to scupper any chance of a deal before Chelsea decided to make their move to sign him. But Spurs have made a decision to not pursue a deal despite the injury to Harry Kane keeping the England captain out until March. And it's understood West Ham are close to offering Batshuayi an escape route after suffering a number of injuries in attack. If he was to go to Everton, that would have to be a permanent deal.